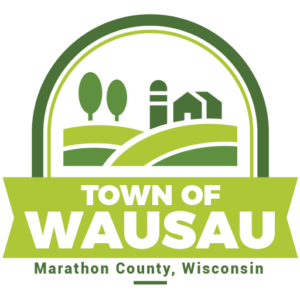 Town of Wausau residents receive garbage pick up weekly and recycling pick up is every other week at your curbside. It is important that all residents participate in recycling. If you miss the recycling pick up date, Advanced Disposal also has a drop off center at their facility at 5509 Fuller Street in the Village of Weston. The hours of operation are from 8 a.m. to 10 p.m. Monday-Friday and 8 a.m. till noon on Saturday. Every household (single-family up to 4-unit apartments) in the Town of Wausau should have a 95-gallon recycling cart whereall of your recyclables (plastic, glass, aluminum, tin, metal, mixed paper, and cardboard) can be co-mingled into this one 95-gallon cart. The carts are provided by Advanced Disposal Services. If you are a single-family home or up to 4-unit apartment and do not have a cart, please contact the Town Clerk at 715-297-1157. The 95-gallon recycling cart is quite similar to your refuse (garbage) cart. The recycling cart will have a bright yellow lid with the recycling symbol along with some simple recycling instructionsprinted on the lid. Please be aware that only recyclables are allowed within this 95-gallon recycling cart. If it is found that you have refuse within your recycling cart, Advanced Disposal will not empty it. Similar to your refuse (garbage) cart, if it is found that there are recyclables within the refuse cart, Advanced Disposal will not empty it. Please be aware that you can be fined for not properly recycling, as recycling is a State Law. WHERE TO PLACE YOUR CART: Please place your recycling cart on the opposite side of your driveway as your refuse (garbage) cart. If this is not possible, please keep about 4 feet of space in between the two carts to allow enough room for Advanced Disposal’s truck’s mechanical hand to reach around the cart, so that it can be picked up and emptied without disturbing your other cart. Please do not place your cart(s) in the roadway, as they will create a hazard to traffic and will be at risk of getting struck by a snow plow. The Town of Wausau will not be responsible for refuse and recycling carts damaged due to being struck by snow plows. Shovel out an area of your snow bank to allow one or both of your carts to be located on the boulevard. WHAT CAN BE PLACED IN YOUR RECYCLING CART? All glass bottles and jars, aluminum and tin cans, aseptic containers, plastics (#1 - #7), mixed paper, and cardboard can go into the recycling cart. Please be sure all materials placed within recycling cart are clean of food debris. Also, to allow for more room within your recycling cart, consider flattening the materials that can be flattened, prior to placing them in the recycling cart. Historically, when residents had lead acid batteries (such as a car battery) and used motor oil to be disposed, those would just get placed next to their recycling bins/containers, on their recycling pick-up day. With the fully automated single-stream recycling program in place, Advanced Disposal will continue to pick these items up free of charge, however, residents must call Advanced Disposal ahead of time to schedule collection arrangements. QUESTIONS? Refuse and recycling collection dates and times will remain the same as they have been in the past. If you have questions regarding changes in your service or in need of a container, please contact Town Clerk Cindy Worden at 715-297-1157. COMPOSTING: Composting is recommended for yard waste, leaves, trees, brush, stumps plant clippings. The DNR has literature available for free for anyone interested. HAZARDOUS WASTE: If you have chemicals, cleaning solvents, and/or auto fluids that you would like to dispose, please contact the Marathon County Household Hazardous Waste Collection Facility at 715-446-3101 ext. 100 to make an appointment at lest one day in advance. The Marathon County Hazardous Waste Collection Site is located at the Marathon County Solid Waste Department (landfill),172900 Hwy 29, Ringle, WI 54471. The Hazardous Waste Collection Site WILL ACCEPT: creosote; de-greasers; fuel; ether; cleaning solvents; drain cleaners; dry cleaning fluids; gun cleaners; fungicides; herbicides; insecticides; metal cleaners; mildew cleaners; oven cleaners; floor/furniture polish; nail polish; removers; thinners; oil-based paints; varnish; turpentine; hobby materials; photography cleaners; aerosol paints (no empty cans); sharps (only accepted if packaged in commercial sharps containers or heavy plastic detergent or bleach bottle with a screw on cap and clearly marked "bio-hazard" or "sharps" and "DO NOT RECYCLE"). The clean sweep program will NOT ACCEPT: ammunition; explosives; freon; latex paint; fire extinguishers or compressed gas cylinders (if empty take to landfill to recycle as scrap metal for free); medical wastes; radioactive materials; or water-based stains or caulks. For more information regarding these changes, or for other recycling and solid waste information, please contact the Marathon County Solid Waste Department at 1-877-270-3989.